Since our previous status update on manufacturing & shipping operations in August 2016, we had to tackle a lot of challenges in parallel: changing some of our suppliers, preparing new hardware, processing refunds, preparing PureOS 3, deploying new public infrastructure, seeking additional funds to enable us to ship “from stock” in the future, etc. The puzzle had so many moving parts that we really had to wait for dust to settle at the end of November to know where we stand and to provide you with this report. In this blog post, we’ll be providing a global shipping status update, a quick update on R&D, and we’ll be sharing some great news for those interested in the Librem 13. In the interest of keeping this post short and sweet, we’ll be sending additional details via email to those with outstanding Librem 11 and 15 orders. We did a couple of shipping batches for laptops during the winter, and once the Librem 15’s 4K screen supply crisis came to a close we resumed shipping the remaining Librem 13 and Librem 15 “1080p” orders. As we prepared our new website contents, we created a “Global Shipping Status” page to illustrate how many laptops we’ve been shipping and to give customers a rough approximation of where they stand in the processing queue. We hope to soon replace this page by a personalized, dynamic shipping status page connected to your account and order status. The Librem 13 started shipping fairly quickly after its campaign ended, and continued shipping afterwards. 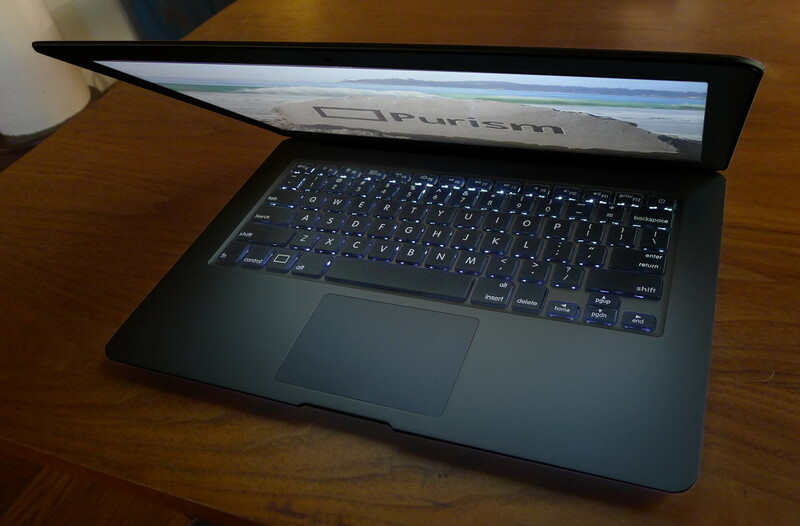 The reason the majority of the Librem 15 laptops took so long to ship initially was that we kept waiting and waiting for the 4K screens… Purism learned some hard lessons there. That mistake won’t happen again. The Librem 15’s original order quantity (from the first campaign) has been shipped by now. …to cite only two. It’s always greatly satisfying to hear positive stories like that. Please don’t hesitate to share yours! Your encouragement is a big part of what keeps us going through hard times. One thing we had to accomplish this quarter was to change some of our suppliers. One of the reasons for that was to have better flexibility and to enable us to build better-quality computers in future revisions. It has taken us a couple of months to find satisfactory suppliers, negotiate, request and evaluate prototype units (to ensure they meet our quality standards and our particular privacy+freedom specifications), and then evaluate the feasibility of going into a new production run. We are now very happy to say that we have resolved the “manufacturing and logistics” side of the equation. The other side of the equation is financing: to place a large-enough order to ship from stock, we are in the process of getting a line of credit (loan) to fund inventory. With this, we hope to place a large-enough supply order to finally get out of the chicken-and-egg problem (where many customers want to purchase Purism Librem laptops only if they are available for shipping on short notice, yet this requires inventory, which requires enough orders to create inventory on an ongoing basis). This would have very similar specs to the Librem 13 v1, with a few improvements on the casing, backlit keys and better keyboard feel, and a few changes like the location of the hardware killswitches. We’ll be providing more details on that in a separate blog post. We’re hoping to eventually provide a new revision of the Librem 15 as well, for which we will need to get new prototypes and nail down the details and logistics for it. With the alpha release of PureOS 3 now available alongside our new public infrastructure like Phabricator (see devlog #3), we have started the process to get the PureOS software distribution certified by the Free Software Foundation. PureOS has always been 100% Free Software from the start (stricter than most GNU/Linux distributions, including Debian, Fedora, etc.) and getting official FSF endorsement for PureOS will provide recognition for our work and assurance for users that their operating system respects and enforces their software freedom. In the past, we have promised to work towards liberating the BIOS/UEFI of our Librem laptops, and we’re continuing that commitment. We have previously made some efforts toward porting Coreboot to our devices: we have provided sample Librem 13 v1 laptops to Coreboot project contributors to facilitate this work, and a partial port came out of this initiative. We have also sponsored some developers to try to continue that line of work. In the end, we have been slowed down because we shifted focus on our manufacturing business needs to deliver product to users, and the odd phenomenon where our Coreboot contributors would end up going silent / disappear on us after a while. So we kept looking for someone who could do this work independently, and consistently. This December, we brought on board a promising independent low-level BIOS/UEFI hacker that will be able to resume the Coreboot-related work, so we hope to provide coreboot for the Librem 13 v1 and v2 to start. Stay tuned for news on that front!